I decided to take my own advice and book an award flight for the 2014 holidays. I just scheduled a week in Hong Kong culminating in the New Year’s Eve celebration. I’m a oneworld fan so I had a lot of choices when it came to selecting an airline for this trip. I started by searching the route on Kayak and filtering so I’d only view the oneworld options. The resulting airlines included American Airlines, British Airways, Cathay Pacific, Finnair, Japan Airlines, LAN (albeit via a very circuitous route), Qantas, and Qatar Airways. It was useful to see the options, but I pretty much already knew that I’d prefer to fly Cathay Pacific since the airline just launched nonstop service from my home airport in Newark to Hong Kong. 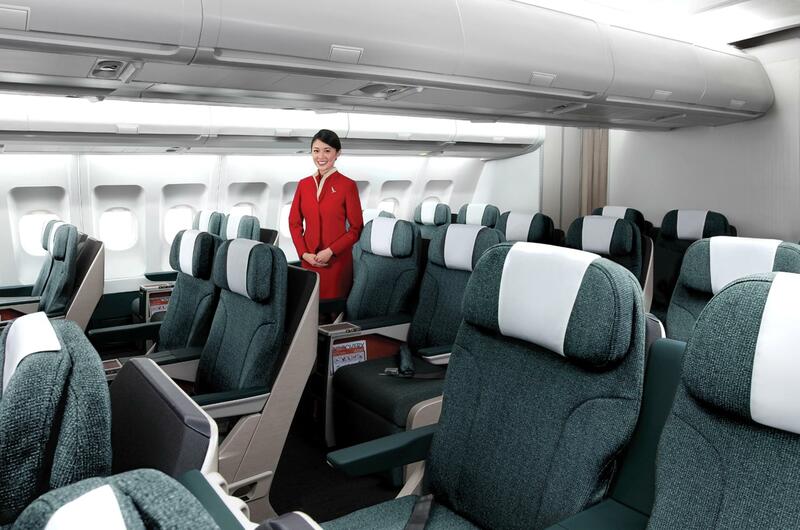 To check award availability, I logged into Cathay Pacific’s frequent flyer programs website: AsiaMiles.com. I searched for award seats and noted the days and flight numbers that had available seats. I then double-checked this information via British Airways website. When both the Asia Miles website and British Airways sites show the same availability, it’s a pretty safe bet that American Airlines will be able to see those open award seats as well. From there I called American Airlines, fed the agent my preferred flights and was all booked within a few minutes. That was easy. The round-trip flights in business class cost 110,000 AAdvantage miles each plus a few dollars for taxes and fees. Selecting a hotel in Hong Kong is tough because there are so many excellent choices. But again I knew just what I wanted: a room overlooking Victoria Harbour at the InterContinental Hong Kong on Salisbury Road in Kowloon. The views are spectacular and there’s a special New Year’s Eve fireworks extravaganza that’s launched from directly in front of this hotel. There is also a second InterContinental in Hong Kong, the Grand Stanford, but my preference for this trip is to stay at the one on Salisbury Street. Now, here’s where the miles-and-points community will issue a collective gasp. Even though I had plenty of IHG Rewards Club points to cover the room nights, I did not use them. Why? Well, you can’t book harbour view rooms with IHG points and the view of Victoria Harbour is really too special to miss. Instead of using points, I asked my travel agent to book the room on my behalf. The rate includes a guaranteed room upgrade, daily buffet breakfast, and late check-out. If I had used IHG points, I would have spent 45,000 points per night (or 40k plus $40 or 35k plus $70 per night). The cheapest room available at the hotel will run you $600 per night so booking with points is a tremendous value. It’s not too late to book holiday travel for 2014. Have you crossed this task off your to-do list? If so, where are you heading? Wed love to know!